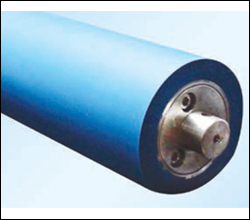 The worn out and unusable rubber coating of the rubber roller is removed and the surface of the roller spindle is cleaned thoroughly. The bounding agent is applied and the compound is wrapped on the Spindle/core, followed by curing and finishing of the roller to the required size with mechanical process using precision machines to achieve required hardness, elongation, resilience, tensile strength, surface finish, ink and water receptivity. The Rubber compound is the main raw material for this process and it is easily available in every part of the world. 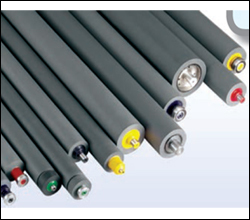 Costing anywhere between US$ 5 to 8 per Kg, which never exceeds 22% of the selling price of a refurbished roller. 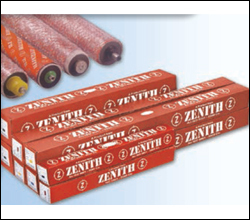 We at Zenith provides Ready to Use Rubber compound.